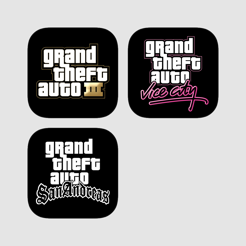 The critically acclaimed Grand Theft Auto Trilogy of Grand Theft Auto III, Grand Theft Auto: Vice City and Grand Theft Auto: San Andreas is now available as a bundle on iOS. 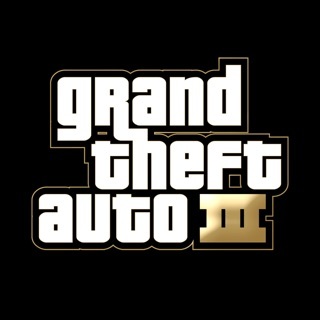 Rockstar Games celebrates the 10th anniversary of one of the most influential games of all time. The critically acclaimed blockbuster Grand Theft Auto III comes to mobile devices, bringing to life the dark and seedy underworld of Liberty City. With a massive and diverse open world, a wild cast of characters from every walk of life and the freedom to explore at will, Grand Theft Auto III puts the dark, intriguing and ruthless world of crime at your fingertips. With stellar voice acting, a darkly comic storyline, a stunning soundtrack and revolutionary open-world gameplay, Grand Theft Auto III is the game that defined the open world genre for a generation. Love these games, works like a dream on my new 6. So glad to see San Andreas on here too! GROVE STREET IS BACK BUSTERS! Reliving my childhood memories with these games!! I'm really enjoying this app!! A few fixing up to do on gta3 you can't quite move around but still pretty fun! Also it's a bug when you buy it will say "it's free" but when you buy another app it's gonna show the TRUE amount of money you spent on both of the games you have purchased. Other than that it's really fun and addicting!